Join Benk Machine, a leading plastic extrusion equipment manufacturer, as they test two sets of 12-63mm PVC pipe machines on Nov. 25 before they are shipped to two of their overseas clients. Benk has customized the machine strictly as per the client’s requirements. 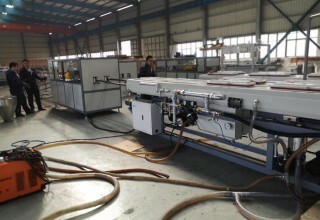 Both machines will manufacture PVC pipes with similar dimensions, however, they differ in the specifications of the extruder and vacuum tank. 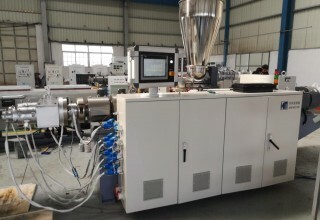 For the first machine: Benk adopted a Siemens touch screen and PLC device for the conical twin screw extruder. 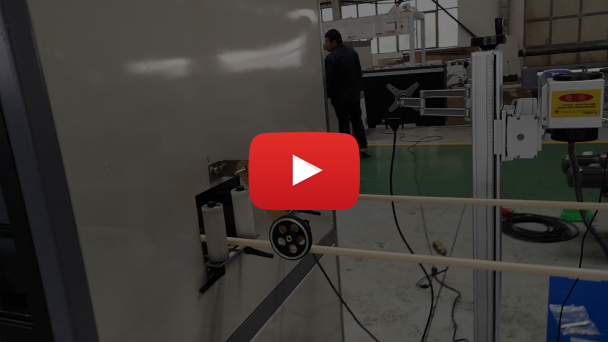 While PLC and touchscreen are a little bit more expensive, the client will easily control the extruder from the touch-input screen. 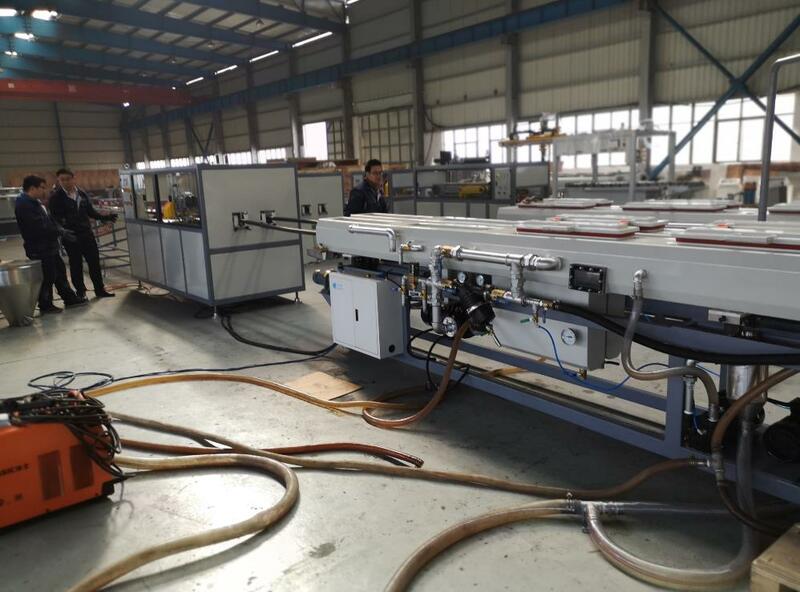 The line’s vacuum tank is 4 meters long, and Benk adopted a separate vacuum tank which is more simple to operate. Not only will this save time for the staff, but the cooling efficiency is also better than the previous design. 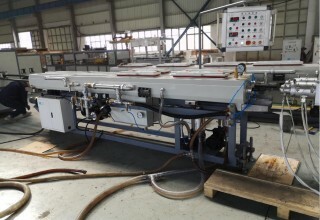 Then, the downstream machine required is the stacker, which collects the finished PVC pipes. Based on the factory’s location, it will need 380V, 3-phase power. Benk can also provide special voltage (220V, 3-phase) for clients with a short delivery time. 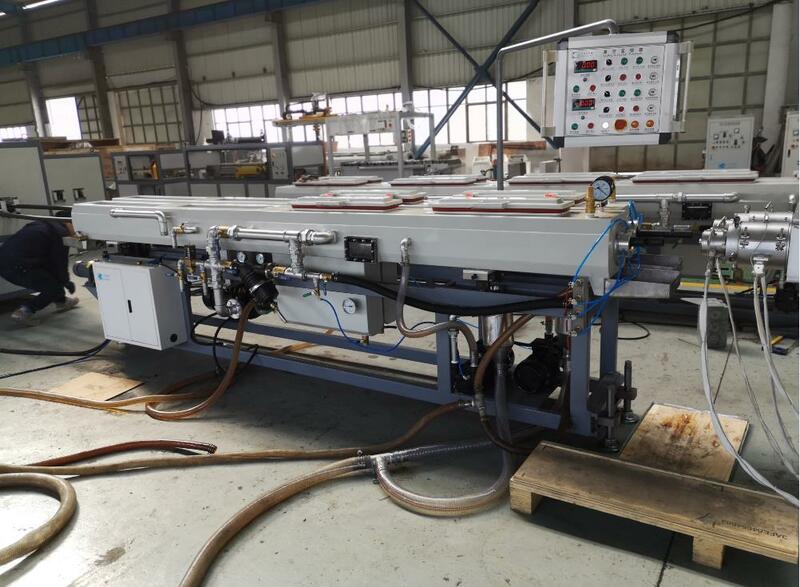 For the second PVC pipe machine: The vacuum tank is 6 meters long and the socketing pipe machine was requested by the customer to replace the stacker. The line requires a 220V 3-phase. To power the machines, Benk will use the transformer at the plant with Benk machinery. We welcome all our valued clients to visit the Benk factory. Those in attendance will have the rare chance to see the PVC pipe manufacturing process in action. It is also an opportunity for all questions to be addressed by the professional team of engineers and technicians on site. What’s more, Benk has different types of plastic pipe manufacturing machines including plastic corrugated pipe extrusion machine, PP-R pipe extrusion machine and HDPE pipe extrusion machine. All welcomed guests will also see them and discuss their details with Benk’s team. High-quality parts and well-known electric parts are used in Benk plastic extrusion machines. For instance, ABB inverters Omron temperature controllers, Siemens motors, Schneider contactors and LS air switches. 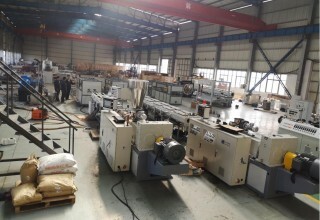 Benk Machine is a manufacturer of plastic pipe-making machines, plastic profiles extrusion lines, plastic sheet extrusion machines, plastic board extrusion machines and plastic recycling machines. They have an in-house R&D technology team with over 10 years of experience. 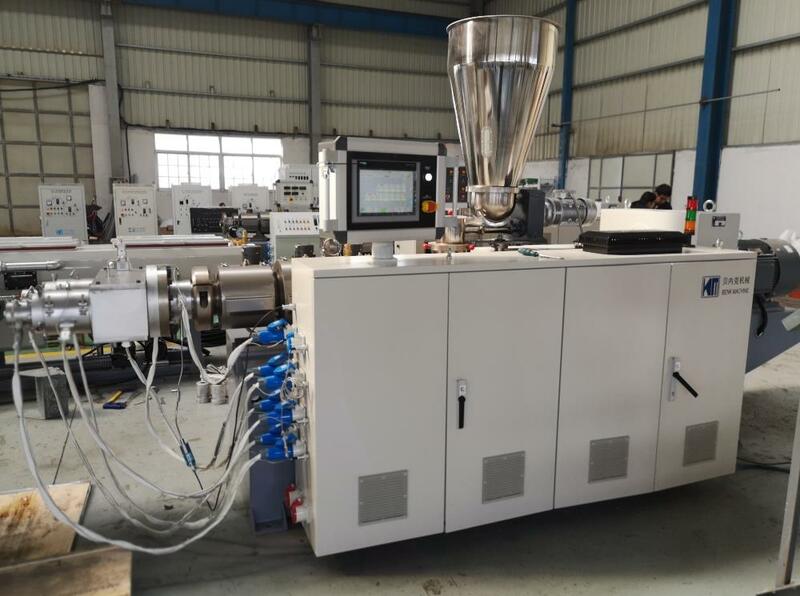 All products are customized for clients and the company’s engineers install the extruders or lines at reasonable prices. 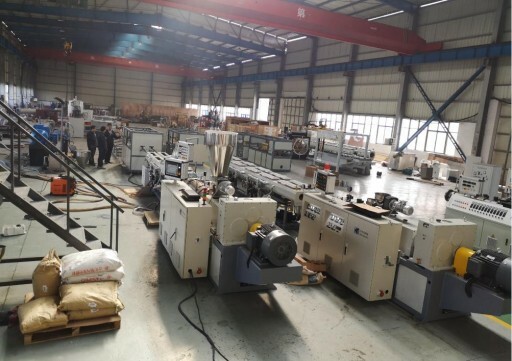 The company also provides training services for clients, so they can make the best use of their PVC pipe-making machines and other plastic machines. Learn more about Benk Machine at www.benkpm.com.